WordPress sent me a message wishing me a happy anniversary. For five years (not counting my long absences) I have been blogging about my gender identity, my marriage and my journey of self discovery. As we used to say in the 90s: Yadda, yadda, yadda. 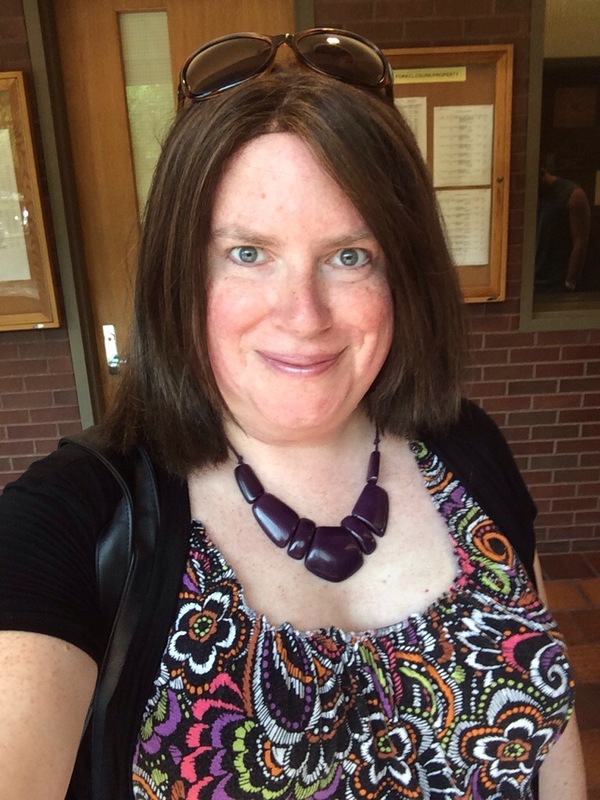 I have long complained here and elsewhere that I felt the price of authenticity, of living honestly and true to one’s gender, was just too damn high; my marriage cratered and I lost the love, trust and respect of the woman I loved most in life, not just because I’m transgender, but because of the choices I made in eventually acknowledging who I am. Although being trans is not a choice, I realized too late I should have chosen to not lie to my wife. I should have chosen to not keep secrets and to tell her what I was feeling. Except: I knew telling her would be the end. And so I refused to admit the truth even to myself. Except: I kept secrets to avoid arguments that I felt would only split us apart. Except: I heard her say, over and over, that if my hormone imbalance leads me down the path I eventually followed,, that we were finished. And I desperately did not want that to happen. That’s why I lied to myself before I ever lied to her. This price I paid for authenticity turns out to be a package deal. I learned things I never knew about my wife and my family just by becoming who I am. I learned that her love and that of my mother and my sister and many more relatives is not unconditional. I discovered that people who said they supported you can be good at keeping their hatred and disdain hidden so that you’re never aware until they betray you. And I learned firsthand how transgender people are considered by some ignorant people to be dishonest and “uncomfortable” to be around. But by the time you find out that’s how some people you know really feel, there’s really not much you can do except not be around them. Oh, and if you don’t make that happen, they will. Still, I’m not sad that I have achieved my goal in transitioning from male to female and living as my true, honest and yes, “authentic” self. Yes, it took me a year of figuring it all out, and I understand to some folks it looked like I went back and forth. Not true… but if you’ll agree with me that if being confused about one’s true gender is hard for most people to grasp… Then please allow me to say you’re not going to understand why I had trouble getting this issue resolved cleanly, with tabloids and public attention focused on my every online posting. Folks, I had reporters hiding in shrubs on my property ambushing my family. I got calls within minutes of updating my Facebook status to ask for interviews. I mean, who the hell am I to command this much media attention? I’m nobody. Not exactly something employers are looking for, incidentally. The toughest part of where I am right now… is accepting this is where I am right now. Someone who grew up spoiled rotten and raised to think you can have anything you want is likely to be a little shocked to find it’s not true… and the clock is still running. At a time in life when others are counting their earnings and their days until retirement (and making sure the college funds are growing), I have one dollar in my purse and an overdrawn bank account. That’s not a plea for charity or help; it’s just me being honest. I’m broke. I got here all on my own, putting aside responsibility for pleasing myself or others, and putting off till tomorrow what needed to be done yesterday. I have at age 50 learned a lesson most people learn when they are five: there are always consequences. I’m still knocking on doors in the online world of job-hunting. Still getting nowhere but trying to not feel defeated. I have learned in my therapy sessions that transgender people, more often than the general public, experience these childhood traumas in adulthood because of the suppression of their true identities as children. Some of us work so hard to be someone we are not and to be loved and accepted by our parents, that it is not until these issues complicate our adult lives that we finally face our true selves. That is where I am. This is where I start. From Zero. A very good friend of mine, someone whose path is not far from mine and a woman I truly look up to, told me I am not a zero. I just need to learn to hold on. Stacey, I’m trying. Twice I nearly let go, of everything. I could have wound up another statistic, but for my friends and the love of my children. The lesson I learned from all this is one that applies to everyone, not just transfolk: remember that there are always consequences. My mistake was believing the goal was to find a way to win the game, whatever the cost. My truth, at long last, is that I have not really lost what is most important in life, and I have finally begun to pay the consequences. Dawn … folks who are ‘ignorant’ of the transgender experience (and to me the word ignorant simply means uneducated or inexperienced) may not realize the ‘man-up … no, I’m a woman’ back and forth struggle within the MTF person (and I bet it happens with FTM persons as well). I know Alana explains this back/forth struggle in her book (www.hunginthemiddle.com) … a struggle that went on for years that only she was aware of and had to deal with alone … which nearly cost her life due to the health issues it produced. Like you, much of her ‘man-up’ attempts were solely to try to please those she loved at the expense of herself. You’re a strong person … simply breathe and live one moment at a time … you’ll get there … enjoy the simple pleasures and move forward. You have the support of our positive thoughts and prayers.